There have been incessant killings in Ajegunle area of Lagos and residents suspect the crime is being perpetrated by notorious ritual killer-cult, Badoo. Ghetto soldier, Daddy Showkey is worried about the recent killings in Ajegunle, a popular Lagos ghetto, by suspected Badoo ritual cultists. Showkey appealed to security agencies to come to the rescue of residents of the area. 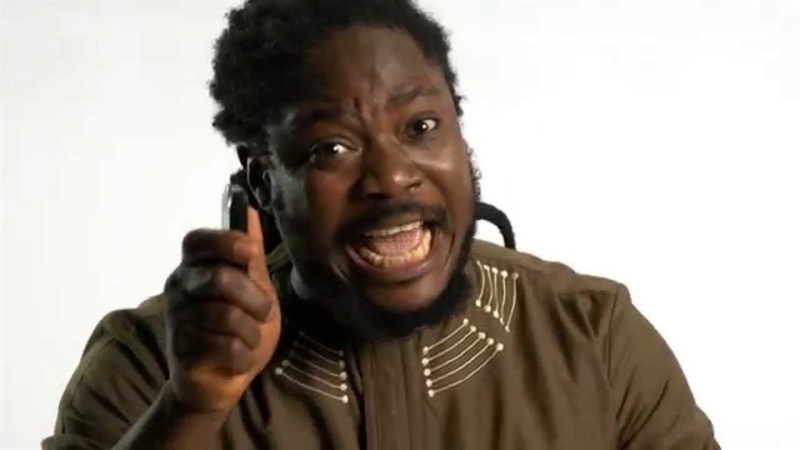 Showkey made the appeal in his Instagram post where he also shared the picture of a young man whom he claimed was alleged murdered in Ajegunle some days ago. In his Instagram, the artist wrote: “Ajegunle people are crying for help, the killing is too much and nobody is doing anything. “Are we not in Lagos or we are not Nigerians? Please help us, they kill people every day in Ajegunle and nobody is doing anything about it; please help us now. “We are trying to give Ajegunle a good name and some stupid idiots are busy killing our youths in Ajegunle. “I am begging the Nigerian authority to come to the aid of the people of Ajegunle now, before they will kill every growing youth in Ajegunle. “They kill people as if human life has no value. “Am begging the Nigerian authorities one more time to come to the aid of the budding Ajegunle youths before things get out of hand and we take laws into our hands. “Please, I am begging with tears in my eyes. This young man was killed on the 9th of July,2017. The suspected ritual cultists known as Badoo had lately been terrorising the residents of Ikorodu and attacked Owode Ajegunle near Ketu in Lagos State where they killed several innocent lives. The spokesman for the Lagos State Police Command, ASP Olarinde Famous –Cole, told NAN when contacted that he had read about the incident on the internet as posted by Showkey. He assured the residents of the state that the command was on top of the situation, and would continue to provide adequate security for their lives and properties.